Mustang 45-11582 in 1958, newly acquired by The Air Museum, Chino. 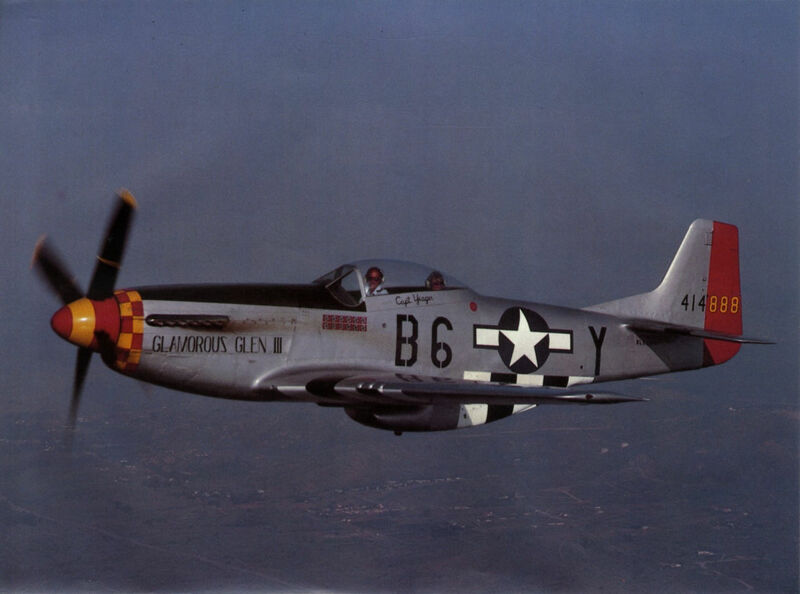 It still wears the colours of the 167th Fighter Bomber Squadron - the 0 prefix to the serial number denotes that the Mustang is obsolete. 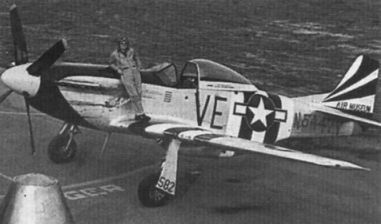 The Mustang in 1963, painted in a World War Two colour scheme and with the incorrect civil registration N5447V daubed beneath the tailplane. The Mustang in 1983, after it had been repainted to represent G4-U of 362nd Fighter squadron.